It’s hard to believe, but the year of the Air Jordan 6 has almost come to a close. We’re only a month away from the holiday Air Jordan 11 release, and Black Friday is looming. With that, we’re already getting a look at Jordan Brand’s 2015 schedule in advance, and it looks like the Air Jordan 4 will be the retro to kicks things off at the top of the year much like how both the Air Jordan 3 and Air Jordan 10 did earlier last winter. There’s plenty to be excited about from the return of two classics in the Air Jordan 4 Columbia and Air Jordan 4 Oreo, to some new ideas in the near-monochromatic Air Jordan 4 Teal and the celebratory Air Jordan 4 Laser. 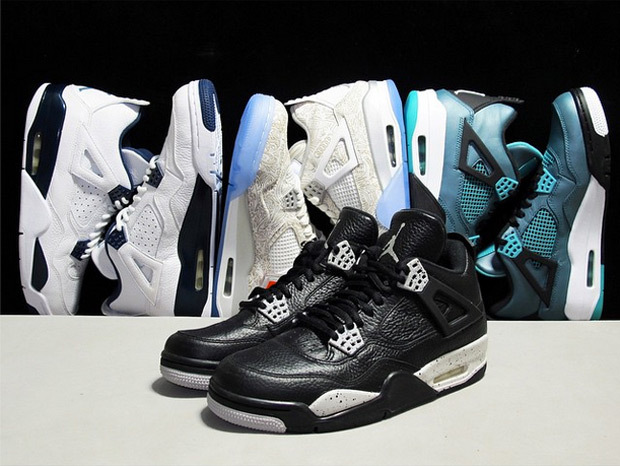 Look below for a full rundown of all the Air Jordan 4 styles releasing to jumpstart 2015 and let us know which pair is your favorite by penning your thoughts in the comments section.